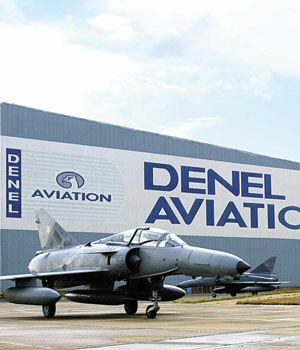 Denel told Parliament’s portfolio committee on public enterprises on Wednesday morning that it had made a loss of R1.7bn in 2018. This sees the company’s revenue fall from R88.4bn in 2016/17 to barely over R8bn in 2017-18, and the company forecasts revenue will fall to just R4.9bn for the 2018/19 financial year. The state-owned arms company has yet to submit an annual report for the 2017/18 financial year, with the Minister of Public Enterprises writing to Parliament to say it could not be tabled in time. Denel bore the brunt of a major financial fallout due to mismanagement, as well as a deal it was tied into by previous leadership that exposed it to risks through companies like Denel Asia and VR Laser. Denel chair Monhla Hlahla said the company had to re-examine the company's "balance sheet and goodwill", ultimately choosing to sacrifice some goodwill because it could no longer be justified on the balance sheet. "There has been a R1.758bn loss. When you look at revenue performance there is a decline from R8bn to close to R5bn in the current year. The main reason is weak contract management, especially when it comes to procurement," said Hlahla. However, the company added that there was light at the end of the tunnel. Denel group financial controller Thandeka Sabela said, "For the first time in a long time it seems like a better future is possible. The clean-up of looking at our operations is done and we are ready to move ahead." She said the company suffered a foreign exchange loss of R273m and onerous contracts to the tune of R100m.